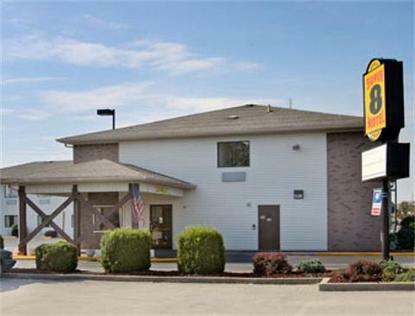 AAA Approved - 2 Diamonds, 63 Rooms, 24 Hour Desk, Outside Outlets, Large Vehicle Parking, High Speed Wireless Internet, Copy Machine, Fax Service Available, Remote Control, Satellite and Cable TV, 4 HBO's, ESPN, Queen Beds, Cribs Free, Pets Accepted for $5.50 non-refundable, 10.24% Tax, Children 18 & under Free, Higher Rates for Weekends and Special Events. Grey Hound Bus Lines and 10 Restaurants nearby. Eastern KY University - 1 mile, Arnim D Hummel Planetarium & New Public Golf Course - 4 miles, Ft. Boonesboro & White Hall State Shrines - 5 miles.Business/Community Services: Berea College, Blue Grass Airport, EKU University, Patty Clay Hospital, Richmond Mall.Area Transportation: Grey Hound Bus Lines, Madison Airport.